Alrighty - it's brisket time here at the hacienda; I've got a 12.5x-pound hunk of beefy wonder that is going to experience several hours of sweet cherry smoke, but first I need to do a little prep work with it. Kosher salt in place of sea salt. The coffee I used is absolutely awesome: Gevalia traditional roast ground coffeefrom Sweden, the land of my ancestors. Since this is going on a beef brisket, I took some advice that Brook gave to me and added a little heat in the form of 2 tablespoons of decent, well-balanced (but not HOT) chili powder. This rub smells and tastes amazing - I'm looking forward to seeing how it works with the brisket and cherrywood smoke. 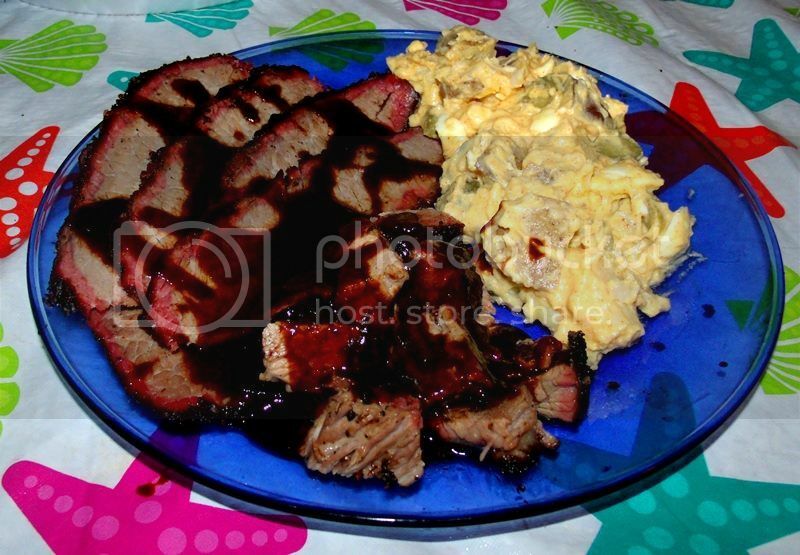 Brook also shared a coffee-based barbecue sauce recipe that I will probably try with this brisket; I will post on that below. This sounds like it is worth a 15 hour flight for ! The flavor profile is just so amazing and the aromas, I can smell them all the way across the Atlantic !! Can I suggest some oak aged red wines for this delicacy ? The funny thing is, a 15-hour flight might be just about right! I figure I am about halfway through cooking it now - but it's looking good! We threw it on at about 10pm last night. Temp control was spotty at first, as the offset found her wings ~ but once she did, she began to run beautifully, a testament to the outstanding and easy modifications that she's been subjected to. Throughout the night, she's held steady between 245 and 255, right where I like her to be. Most impressive has been the charcoal consumption; if she starts to fall below 245, we simply push over 6 briquettes of Kingsford that have been pre-heating on the "far" side of the charcoal basket, along with a small chunk of cherry that has also been pre-heating. Of course, we also add six more new briquettes and a chunk o'cherry back to the far side, so that they can pre-heat for a clean, efficient burn. Then we simply close the lid and watch the temps start to go right back up into range. Those who are familiar with offsets might be interested in this factoid: When I fired up the pit last night, I used 3/4 of a "regular"-sized chimney (not the big Weber style) of charcoal; when I put the meat to the heat, the 15.7-pound bag was 3/4 full. Now, there's still a quarter of the bag left. Not bad at all, considering it's been 9.5 hours. These mods work, and work pretty well! More to come - I took a couple of photos when I put the meat on, and at about at the 9-hour mark. Will post when I can. 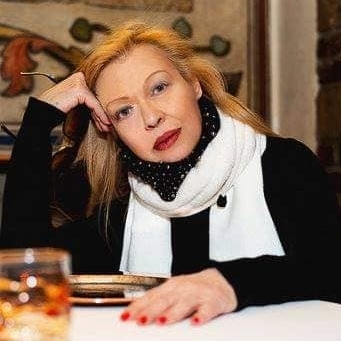 I would definitely go with a Potato salad or gorgeous Cole Slaw from Brook´s collection verses a pasta. The red wine, I would go with an oak aged red, preferably French, Italian or Ribera del Duero, Castilla León, Spain or an Oregon, Washington State or Sonoma California red. Bodegas ( Winery ) Miguel Torres, produces a reasonably priced oak aged red called SANGRE DE TORO which is a full bodied beauty at reasonable cost. All their reds are of excellent quality and the Price point is for those on a shoe string Budget. Have a grand lunch !!! Wish I was there !! Potato salad it is, with home-made kosher-style dill pickles that we made last year! Several glugs of hot sauce or to taste. Simmer for 30 minutes until thickened. Caution: This can go from too-thin to too-thick in a heartbeat. So monitor it closely as the time clicks by. If it becomes too thick (keep in mind, like many sauces, it gets thicker as it cools) thin it out with additional coffee and/or ketchup. Tasting this sauce as it simmers, i like it a lot! Brook cautioned that this sauce might be more suited to poultry and "too sweet" for beef, but it seems fine to me. The molasses I used was blackstrap molasses, which is much less sweet than regular molasses - so perhaps that made a difference. The only change I made to the recipe above was due to the fact that I have no Frank's Original hot sauce, which I usually use because it has all of the flavour with none of the heat. The "mildest" hot sauce I have at the moment is Tabasco, which might possibly kill my wife, so I substituted with a generous teaspoon of chili powder. So far, I think things are on schedule - more to come! Alrighty, at 430 pm, after 18.5 hours, we removed the brisky from the heat, double-wrapped it in heavy duty foil, double-wrapped it further in two towels, and dropped it into a cooler to rest for at least 1.5 hours. The brisket looks incredible, and the small piece that "fell off" (with a little help from yours truly) tasted really, really good. It is great to see that after three "brisket-less" years, I can still barbecue one; indeed, this could be my best brisket to date! Bottom line: I know these bad boys are getting expensive, but do yourself a favour and enjoy one, before summer is over! Well, after 2.5 hours of resting in foil/towels/cooler, it was time to serve our eagerly-awaited supper. One note of correction to my previous post: our potato salad was NOT my wife's time-honoured method; rather, it was my oldest son's interpretation of my wife's way of making potato salad. It was quite good, but the photos will look different from my wife's potato salad. Anyway, the first thing I did was to open up the brisket and separate the point from the flat; this is easily done along a very clear separation between the two different muscle groups that make up a whole, "packer cut" brisket, and a properly-cooked brisket should almost come apart on its own along these lines. I then commenced with slicing (the flat) and dicing (the point). The flat sliced very nicely; thanks to a sharper-than-usual knife and the fact that I was fortunate enough to do a very good job at barbecuing this brisket' I am also convinced that proper resting contributes to success in slicing as well. 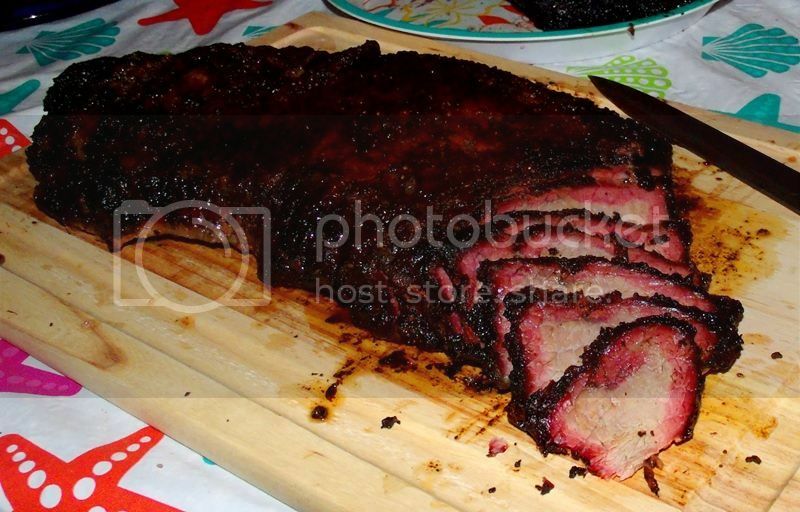 I sliced it as thinly as my limited skills allow and was pleased to see that it was tender and juicy, with a great bark and an adequate smoke ring that could have been better - a goal to shoot for next time. I couldn't resist snatching a couple of pieces off the end and really enjoyed the way that the rub-encrusted bark worked with the beef - very nice! Once the flat was sliced and set aside, I turned my attention to the point (also called the deckle). If I would have been thinking, I would have converted this into "burnt ends," but no worries; instead, I sliced it into cubes and served them "naked," so that my diners could choose a sauce (or not, as they pleased). The point of a brisket is usually more "fatty" than the flat, so it could have stood to cook a little longer in order to render some of this out (hence the reason that the point is usually made into burnt ends); however, mine was rendered pretty well, and the cubes served as a good, hearty foil to the delicate slices from the flat. Finally, I plated generous amounts of sliced flat, diced point and sloppy (yet delicious) potato salad and then served supper to my famished family, along with iced tea and lemonade for beverages. As I mentioned above, I left the choice of sauce to the folks who were eating; for myself, I drizzled my brisket with my preparation of Brook's coffee-based sauce and really enjoyed it. It had an intriguing, piquant quality that in my opinion went very well with the beef flavour and the rub/bark. I know that Brook expressed concern that the sauce might be a little sweet for beef, but I must disagree; rather, I found it to serve nicely in balance with the other flavours that were part of the whole, with the robust coffee profile providing a solid, earthy foundation that tied meat and sauce together. Perhaps it is a result of my slightly-different preparation of his recipe, but it worked very well for me, and I recommend it whole-heartedly. All-in-all, this was easily my most successful brisket yet, and the only brisket I've made that has turned out almost flawlessly. Fork-tender, bursting with juiciness and mouth-wateringly delicious in every way, with an incredibly-delightful kiss of smoke from the cherry wood, I have absolutely no complaints about it. If every brisket that I barbecue from now on turns out this good, I will be happy; however, I hope that I can exceed this effort and do an even better job in the future. Thanks for following me on this journey - a few photos will be posted as soon as I can get them prepared. I've been quietly watching and reading this thread to see how things turned out. Let me first say, and this is to Brook also, the recipe looks awesome! From the rub to the sauce...I really like the flavor combination. It sounds as though the smoke went great! I do have a few questions though. At nearly 19hours, of smoke time, what temperature were you at in the smoker? I really haven't smoked too many briskets, myself. This is certainly something that has to change! What temperature did you cook the meat to, and did you find a variance between the temp on the flat and the point? When I have cooked the full packer, there always seems to be that difference in finding the sweet spot on each portion (flat and point). I love when the point is nicely rendered...but then the flat seems a little over done, and vice versa. But, as I said...I haven't got tons of practice on brisket. Lastly, you mentioned a kiss of cherry wood...is this the only wood you used for the smoke, or did you use a main primary wood and then finish with the cherry? At nearly 19hours, of smoke time, what temperature were you at in the smoker? The cooking temepratures started out in the 225-degree range for the first four hours or so of the cook (promoting a good smoke ring); as it progressed, I brought the temperature up to the 240-degree range and maintained this temperature pretty well throughout the biggest share of the cook. Eventually, during the last three or four hours, I held the temperatures to the 250-degree range; these "ranges" assume a little bit of variance (probably 5 or 10 degrees on either side of the temps listed above) that comes with adding fuel/wood, occasionally tending to the meat etc. What temperature did you cook the meat to, and did you find a variance between the temp on the flat and the point? My "target temperature" was about 188-190 degrees in the flat, which seemed to be just right in order to get the connective tissue rendered for a tenderness that would allow it to slice beautifully, but not so much as to dry it out. To me, this 188 degrees seems to be the "sweet spot" you are describing, but I must stress that I believe the foiling/toweling/resting does contribute to the quality of the finished product. Too many seem to take the brisket too high, forgetting that the temperature rises and the meat continues to be affected by heat as it rests. Even after 2.5 hours of resting, the brisket was still piping hot, and I am sure that during the resting time, things were going on. As for the point, I knew that it would be finished a while before the flat, but the sheer fattiness of the point protects it from the heat while the flat catches up. I believe that this is another important factor that folks sometimes forget. During this time, the fat renders down pretty well, but we still had a few "fatty chunks" in the cubes that we ended up with. I could have gotten better rendering by removing the point earlier and cutting it up as described above for burnt ends, but for this cook, my main objective was to observe the relationship between the point and the flat, so I settled for slightly-less rendering in favour of knowledge and experience. My observations after this cook are that the point is more like a pork shoulder, which is full of fat and is much more forgiving where higher internal temperatures are concerned. Possibly important: throughout nearly all of the cook, I kept the brisket aligned with the larger, fattier point toward the heat source, to act as a buffer for the more sensitive flat; I did occasionally flip the entire brisket over, top-to-bottom - for even cooking, but in general it spent most of its time fat-cap-down for the first part of the cook (with the fat acting as a buffer to protect the meat from the heat below so that it didn't cook too fast) and fat-cap-up for most of the latter half of the cook, so that the rendering fat could be brushed all over as baste to protect the meat. However, when the point passed 180 degrees in temperature, I reversed this alignment, positioning the flat closer to the heat source so that it could come up to temperature more (it was "stalled" at about 158 degrees at this time); meanwhile, the point - now facing away from the heat - could slow its ascent in temperature - the fat continued to render in the point, but the flat was able to catch up in temperature as described above. Lastly, you mentioned a kiss of cherry wood...is this the only wood you used for the smoke, or did you use a main primary wood and then finish with the cherry? Hope this helps -if you have any more questions or need any further clarification just ask! Alright, I know it's been a while, but I finally have the photos formatted and uploaded from this cook, just in time for some spring barbecuing action! 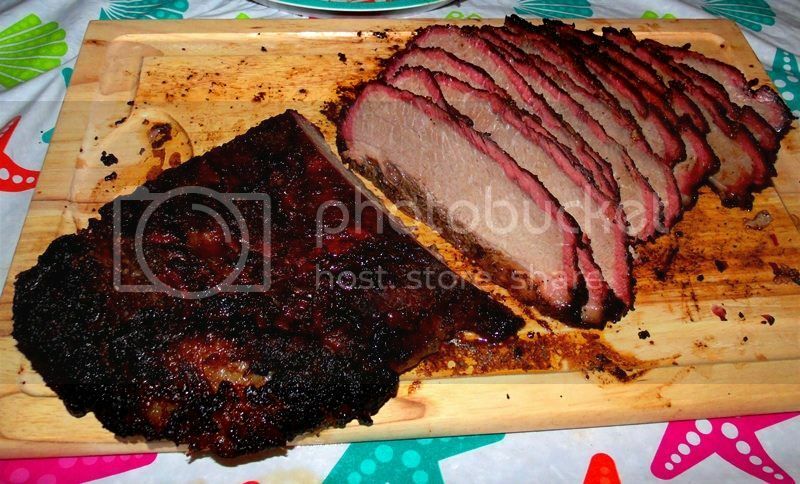 Note - If you haven't already, go back and read through the thread in order to get the idea behind this barbecue, along with detailed recipes for the Java Rub and Sauce, the method by which this brisket was cooked etc. As you can see, there are a lot of nice things going on here! It's almost as if the combination was made for beef! At first, I put it fat-cap up, but then immediately flipped it so that the fat-cap could be on the bottom in order to protect the meat from the heat a bit. As a result, I hash-marked it a bit, but no worries. How about that smoke ring? Things really came together well for this brisket, and I found myself very impressed with it before I even tried it! That's what I have, folks - as I said, the rest of the details can be found in the posts above - if anyone has any questions, please let me know - but in the meantime, I strongly recommend giving this a try for your next brisket or chuckie barbecue. It was impressive, to say the least, and quite easily my best brisket so far. And you never invited me over?????? Dang! That looks amazing Ron. Nice job. looks great Tas! another job well done! Thanks, guys - this is probably going to be my "go-to" method for brisket.... It as that good! I made the rub pretty much as before, except I used coconut sugar in place of brown sugar. I am loving this unique sweetener more and more for applications such as this, and it really adds a nice touch. 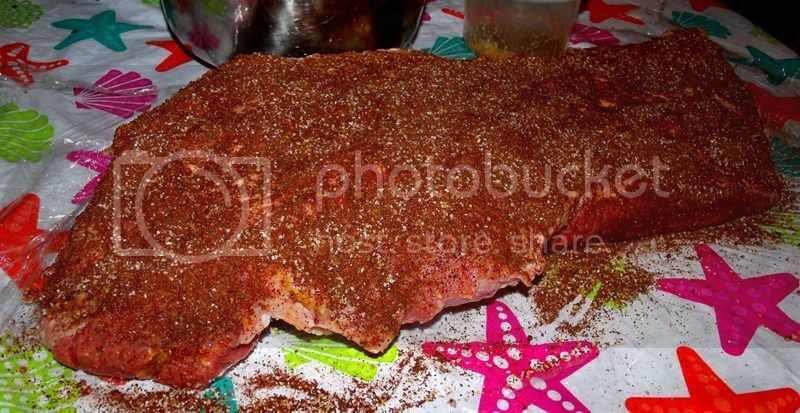 Also, as before, I added two tablespoons of good chili powder, since it really makes the rub sing for beef. After slathering with a German mustard/Worcestershire mixture, I liberally coated the flank with the rub. A few minutes ago, it went into the smoker. I expect results to be pretty much the same as before; hopefully a little better, as I have aim to improve on the technique. As before, I'll make the sauce according to the recipe; I have Frank's Original this time, so it will be added as per the recipe. Preheat oven to 375 degrees F. Grease a large baking sheet with cooking spray and set aside. In a food processor, pulse steamed cauliflower until grated. Place grated cauliflower on a clean kitchen towel and squeeze to drain water. Transfer cauliflower to a large bowl with egg, cheddar, parmesan, Panko, and chives. Season with salt and pepper to taste. Spoon about 1 tablespoon of mixture and roll it into a tater-tot shape with your hands. Place on the baking sheet and bake for 15-20 minutes, until the tots are golden. This Java Barbecue is simply outstanding, and versatile; it can be used for beef, chicken, pork, venison, and probably any other barbecue or grilling. Give it a try! I used Brook's Java Rub again this past weekend on a chuck roast that I smoked over bourbon-infused oak chips that my mother had found and given to me as a gift. I used essentially the same procedure, except I also foiled it for about 3 hours with a little low-sodium soy sauce and Worcestershire sauce, in order to get the roast extremely tender to the point where it was virtually "shreddable." Once the roast was finished, I chopped and pulled it, then mixed it with some barbecue sauce that we had. I then put it back over some heat for about an hour before serving alongside the same Cauliflower "tots" mentioned in the post immediately above this one. Results were, as always, wonderful. The beef was perfectly cooked, and the flavours were spot-on. 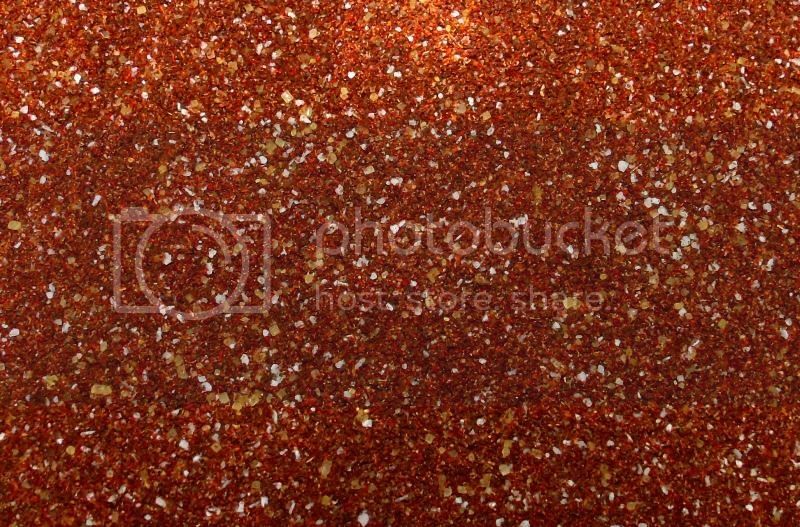 For beef, especially, I can't think of any rub that would be better than this. The whole family enjoyed it, and there were no leftovers. 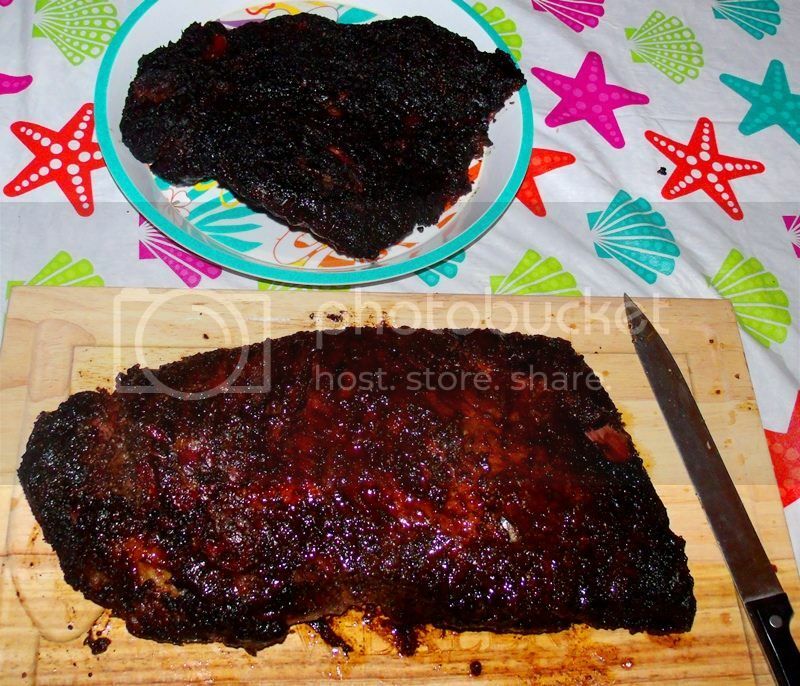 Could you do a Brisket in the oven ? How long would you roast for ? Yes, you can do a brisket in the oven. You would not get that wonderful smoked flavour, but it can certainly be done. I would recommend that the temperature be somewhere around 240 degrees F; a little more or less wouldn't hurt. 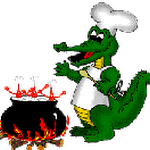 As for how long to cook it, it is difficult to say because different meats will take different times to cook, based on the cut, the weight etc. I would recommend using a meat thermometer in the flat part of the brisket and cooking until the internal temperature of "the flat" is 188 defrees F. After that, the brisket should rest in foil for an hour or two. After that, it should be wonderfully tender and slice very well. This would also work for a shoulder roast or any large cut of beef that has a lot of fat and connective tissue, as the slow cooking will render the toughness away. Thank you .. I recall, The Vet and I had made one a few years ago from your récipe .. I have to see which cut of beef we used. I know Joaquin, my Butcher had told me several years ago ..
Shall give it a go .. Just need to get organised with the spice rub ( I Will have to sub a couple of spices, and I am not a fan of maple and molasses .. Not my cup of tea .. So, perhaps a Rosemary honey would work diluted with a bit of red wine ! And Paint brushed on the meat .. It is already 12am .. Must tuck in as I get up at 5.30am to speed walk and have breakfast and then start my day with V.G. !! I could go up to Bilbao and we could easily BBQ up there ..
For a sauce, I am sure you could come up with good substitutions in order to make a very nice one. Thank you for your vote of confidence .. The only dry ingredients I do not have are the: Corriander seed, Cocoa Powder and Brown sugar. What are garlic granules ? Do you mean dry garlic in a "rough " verses fine format ? Easy enough. The kraut is coming along too .. Doing well !! In refrig .. I shall get these for the 6th - 7th October .. Filippo is going to get some Basque Beef Brisket ! So, brisket is on for the week after the Kraut .. 29th .. They are big projects as they are not dishes I prepare or Filippo prepares at weekends .. We eat primarily Mediterranean and out during working days for lunch ..
All my best for a lovely weekend .. I would think that you should be able to get coriander seen and cocoa powder easily enough. If you cannot find brown sugar I have found that "raw" or "turbinado" sugar would work just as well; another option, if you can find it, would be coconut sugar, which I have found to work very nicely with barbecue. In any case, there are many options. Yes, garlic granules would simply be powdered garlic - easy to find. I prefer them to be not too finely ground but whatever you can find should be alright. I am guessing that your Basque beef brisket would be wonderful with this recipe. it is probably something very different than what you are sued to but I think it would be very nice, especially with a nice, crispy outside and very tender, juicy inside. 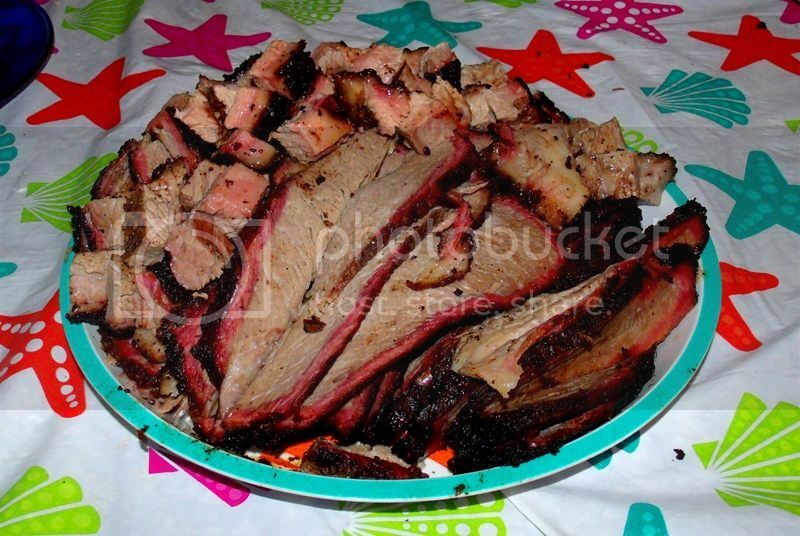 Keep in mind that brisket is one of those fuego lento meats; and all will be well! You can baste the brisket periodically with the rendered fat, or you can use any other baste that you would like to try. 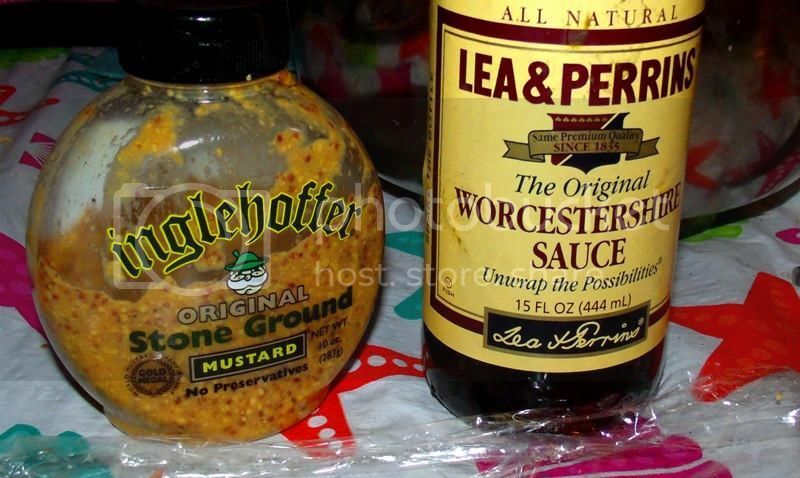 A good suggestion would be a combination consisting of half melted butter (or olive oil) and half beer....but feel free to experiment, using the profile of the spice rub as a guide. The Basque Espelette peppers might make an interesting addition in a baste or sauce.